FREE Kids Ice Cream Cup At RaceTrac! You are here: Home / FREEbies / FREE Kids Ice Cream Cup At RaceTrac! Throughout the month of June of July! 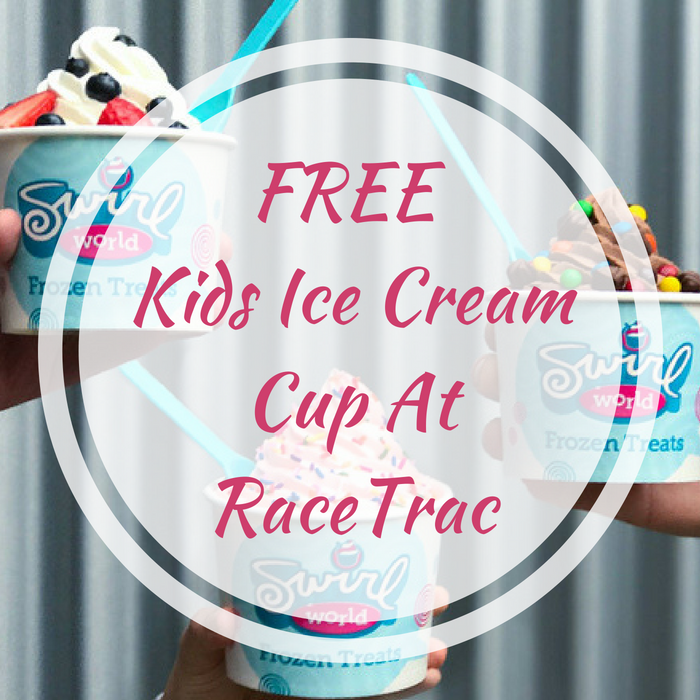 RaceTrac stores are offering a FREE Kids Ice Cream Cup! You just need to buy a 16 oz Swirl World frozen treats cup (including toppings) for $3 and kids ages 12 and under can take advantage of the FREE kids cups. Please note that there is a limit to one per child per visit and the child must be present upon purchase. Refills not included. Don’t miss it!